Buchenwald is said to be the most notorious concentration camp located in East Germany. There were more than 10,000 prisoners sent to the Buchenwald concentration camp. By the end of February of 1945, the number of prisoners increased to 112,000. This number was most likely achieved because the camp would sometimes take in 6,000 prisoners a day. 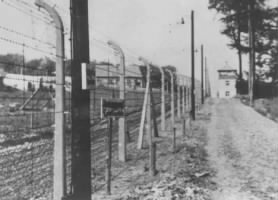 Prisoners were held in the northern section of the camp, known as the "main camp," while SS guards and camp administration stayed in the southern section.